Free First Friday! last weekend of Thomas Sayre: White Gold! Middle School Docents. Creation Station. 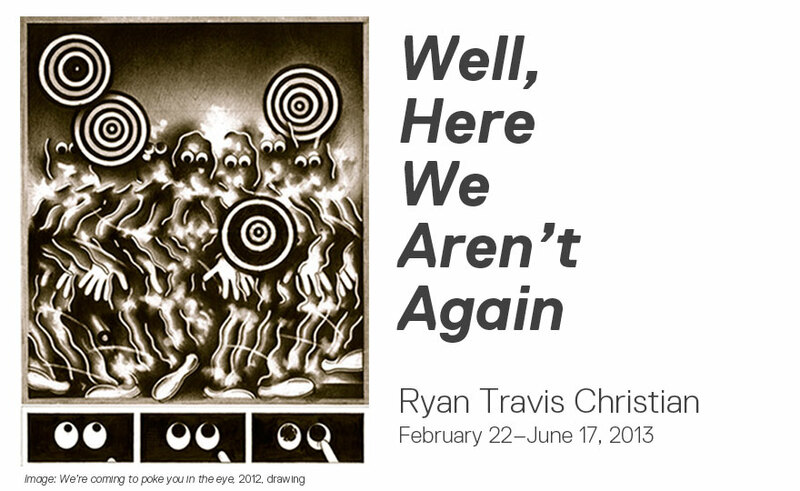 Meet at 11:00 am on February 17 at CAM Raleigh for a private tour led by artist Ryan Travis Christian of his exhibition Well, Here We Aren't Again in progress, in the Independent Weekly Gallery at CAM Raleigh. Followed by brunch with the artist and CAM/now members at 12:00 noon at Humble Pie. Brunch at Humble Pie will include a brunch entree of your choice, complimentary biscuits, juice or coffee + one Bloody Mary or Mimosa. Don't miss this unique opportunity! Space is limited* so register online today. Not yet a CAM/now member? Learn more about the benefits of joining the museum here. *Must be a CAM/now member to register. Only 2 hours left to purchase advance tickets to FRIGHT AT THE MUSEUM! Online ticket sales close at 2:00 pm today, October 26, 2012. Remaining tickets will be available for purchase in person during regular museum hours today and Saturday, and at the door the night of the event. Can't wait to see all of you there and in your best costumes! 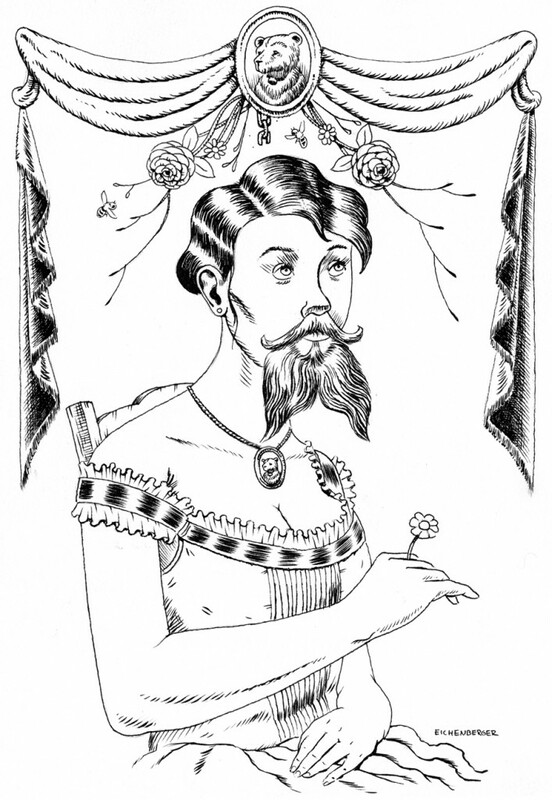 The bearded lady ran away from home at the age of 17 with a busted lip, the clothes on her back and a 5 o'clock shadow forming on her face. She didn't know where she was headed; all she knew was that no man would ever strong-arm her, and she wasn't shaving any more. She was fine with being a "freak," in fact, one would say she embraced it. Besides, it got her out of having to marry some clod kicker from Topeka. The next five years she worked the freak show and circus carnival circuit. It wasn't an easy living, but it gave her a chance to see the world. She was happy traveling until someone caught her eye: the brave yet, strangely enough, shy daredevil. As suddenly as it began, her nomadic life had lost its charm. 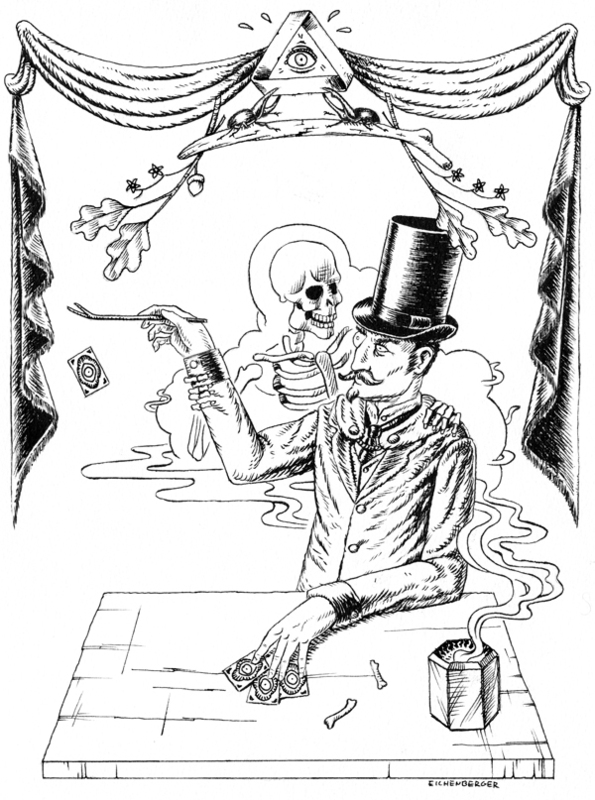 Local artist David Eichenberger lends his talent to this year's Fright at the Museum event theme, Sideshow Spectacular, with a series of 6 drawings depicting the magical and quirky tale of a traveling carnival crew. The carnival's magician has no real power; the only thing he's ever been really good at is stealing and spinning wild tales. So when he pick-pocketed the old gypsy's magic wand in the last town, he knew he had something special at last. With his new power he set his eyes on the one thing he has always wanted: the brave daredevil's girl--the bearded lady. A desire not born of love... but of lust.